The best that dentistry has to offer is here! See your teeth with the technology that reduces your levels of radiation to less than 10 percent of what traditional x rays needed. What allows us to provide this is the combination of advanced hardware and software technologies. Lower radiation and better diagnostic images are the results we expect and get everyday. 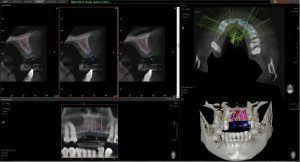 The 3D Cone Beam X-ray machine takes a only a few seconds to complete the scan in a pain free and virtually harmless scan of the head and jaw. 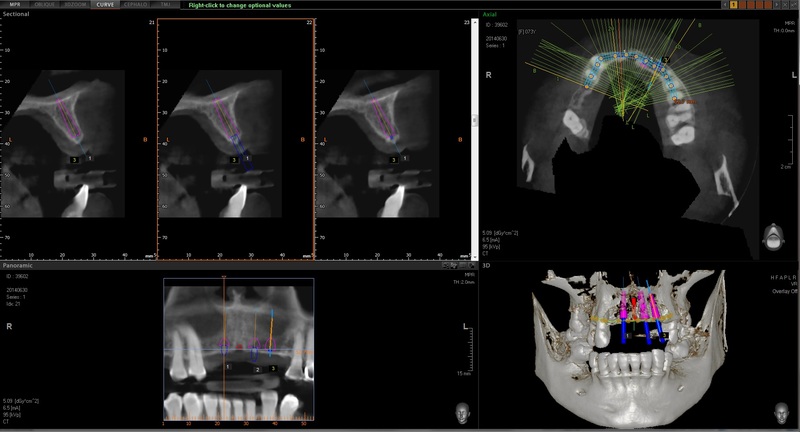 The data acquired allows us to see every dimension needed in 3D for the ultimate in diagnosis and treatment planning. We are able to see nerves, cysts, bone dimensions, bone density and true root shapes. 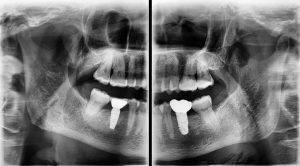 In addition when placing implants we use the 3D viewing to make custom surgical guides that make your implant placement very predictable and efficient. Surprises are virtually eliminated. Therefore, as an added value we offer this exceptional service for free with patients seeking dental implant treatment. Average fees range from $300-$500 at other dental offices. Set your mind at ease and make the best decisions when you can see and know what the dentist is seeing. More importantly, when treatment plans are discussed and important health decisions are being made we answer all your questions with thorough visual and verbal explanations. See the final result before any treatment is started. The digital images created give you a clear view of what your teeth can look like after treatment is provided. Patients team up with us to review and even make adjustments to their smile. The technology is amazing and can be done relatively quickly. Some dentists charge several hundred or more for this but we provide it for free as a part of our overall treatment plan. Come in and see what can be done for your smile.